During the aging process, the connective tissue thins and collagen and elastic fibers break down. These changes in the support structures appear as the sagging, deep creases, folds, and wrinkles that can appear in your thirties and continue to progress from there. In the past, a full facelift was the only real option for dealing with these age-related changes. A conventional facelift requires a lengthy surgery and recovery, however. Now, at Rodeo Drive Plastic Surgery we are pleased to offer a Minimal Downtime Facelift or Threadlift. The procedure and recovery are less lengthy than with a standard facelift and the results are often dramatic. A procedure with patented Contour Threads™ is a safe, conservative and effective one that offers subtle, natural-looking results. These specially designed sutures are fashioned from clear polypropylene, a material that has been safely used in the body for many years in other medical products. By gently shifting sagging tissues in an upward direction, this technique allows the surgeon to produce a relaxed, fresh appearance while preserving and enhancing the natural contours of your face. This procedure does not replace a conventional facelift; rather it offers appropriate patients an innovative, minimally invasive alternative. A consultation with our board certified dermatologic surgeon who has been fully trained in this procedure is the first step. To ensure a high level of safety and accuracy, all physicians must complete a training course on the surgical technique before using Contour Threads™. Unlike at most other centers, at Rodeo Drive Plastic Surgery we perform Threadlift in our Medicare and AAAHC certified surgery center. Performing the procedure in a certified surgery center maximizes patient safety and comfort — and provides the sterile conditions, excellent lighting, and trained nursing staff to help create the best possible results. In general, the best candidates for this procedure include both women and men in their thirties through their sixties who want a more youthful appearance, but do not want a conventional full facelift or browlift procedure. We are pleased to offer this cutting-edge procedure to patients at our center serving the Beverly Hills and Los Angeles areas of Southern California. What is a Contour ThreadLift™? A Contour ThreadLift™ with patented Contour Threads™ is a minimally invasive, safe and effective non-surgical procedure that offers that offers subtle, natural-looking facelift-like results. A Contour Threadlift™ utilizes tiny surgical sutures to lift and support the droopy areas of the brow, cheeks, face and neck. Contour threads™ have tiny, teeth-like (barb-like) cogs that will grasp on to and lift the soft tissues. The threads are inserted in precise locations using a long needle, and once inserted under the skin, they open in an umbrella like fashion to form a support structure that gently lifts and repositions the tissues into a more vertical and youthful position. With the lift effect secured, the needle is removed, the end of the thread is cut and knotted, allowing it to retract deep under the skin where it cannot be felt or seen. The non-absorbable threads stay within the deep tissues and provide support. Unlike conventional sutures which are smooth, patented Contour Threads™ have tiny teeth-like barbs or cogs that are spaced evenly apart. Once inserted under the skin, they are fixated with tension that creates a suspension effect that gently lifts sagging tissues. Unlike other thread products, Contour Threads™ are clear so they are not visible under fair or thin skin. Due to the unique design of the cogs of Contour Threads™, the surrounding tissues act to hold the threads in place without the need for visible scars. The physician makes a tiny incision behind the hairline and the threads are advanced along the previously marked contours so they create a firm hold on the underlying tissues without causing additional trauma. The cogs do the work of holding, by being fixated to tissue as they are softly contoured into place. Once in position, your body generates new collagen bundles that surround each thread. When performed by a certified physician with experience, the procedure is very safe. The risks and complications are uncommon and usually easily correctable. The actual sutures are made from polypropylene, which is a material that has been used in brain, heart and abdominal surgery for many years. Since a Contour Threadlift™ is performed under local anesthesia, there are none of the risks associated with general anesthesia. Following a Contour ThreadLift™ procedure, there are some practical instructions and care that must be followed to avoid traumatizing or dislodging the threads from their supportive locations in the deep fat of the face and neck. Some of these instructions include avoidance of forceful facial rubbing or trauma, sleeping on your back, minimal facial animations, putting pressure on the face, and avoidance of excessive mouth opening. After 3 weeks, there are no more restrictions. Duration varies depending on the age of the patient at the time of the procedure, the degree of sagging, and the number of threads used. Additional threads may be added as needed. The lift effect of the Contour ThreadLift™ can last 3-5 years in some cases. The Contour Threadlift™ is a simple procedure to perform. Complications are rare and will be less likely with an experienced, fully trained surgeon. The Contour Threadlift™ is a stand alone procedure. However, it is not uncommon to have this procedure combined with botulinum toxin to reduce facial muscle activity, dermal fillers to enhance volume, or peels and laser therapy to improve skin texture. Liposuction of the neck and jowls, and chin augmentation, are some of the other procedures that can be done in conjunction with a Contour Threadlift™ procedure. Contour Threads™ are non-absorbable, and they will not dissolve over time. 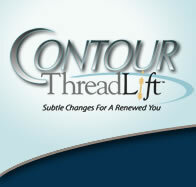 What is the difference between Contour Threads™ and other threads? 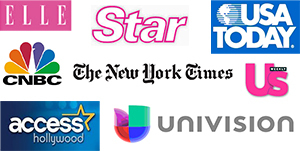 Contour Threads™ are the first non-absorbable barbed sutures cleared for marketing by the FDA. They are Anchored or Fixated to stationary fascia or tissue points. Other barbed sutures “float” in tissue and are inserted using a holllow cannula. Contour Threads are made of “Clear” Polypropylene and will not be visible in light or thin skinned patients. The effects are immediate. During the time of your consultation, your physician will demonstrate in the mirror, the relative amount of lift that the Contour Threadlift&treade; can achieve. The procedure can also be combined with other techniques including blepharoplasty (eyelid surgery), fat transfer, dermal fillers, botulinum toxin, and liposuction of the neck. In most cases, only local anesthesia is required. Your physician may also offer you the option of having light sedation or twilight anesthesia, depending on the extent of the Contour Threadlift™ you are having and the number of Contour Threads™ to be used in one stage. General anesthesia is usually not necessary for this technique. Unlike at most other centers, at Rodeo Drive Plastic Surgery we perform Threadlift in our Medicare and AAAHC certified surgery center located in Beverly Hills. Performing the procedure in a certified surgery center maximizes patient safety and comfort — and provides the sterile conditions, excellent lighting, and trained nursing staff to help create the best possible results. The Contour Threadlift™ is most commonly performed under local anesthesia and the procedure usually takes less than 30 to 60 minutes to complete, depending on the number of threads used. Patients are able to go home soon after the procedure. Are there any other treatments that may enhance or preserve the effect? Many physicians offer non-invasive outpatient treatments that enhance or protect the effect. These adjunctive procedures include botulinum toxin, dermal fillers, laser and light therapy, chemical peels and microdermabrasion. Will I still be able to have a conventional face lift or a brow lift at another time? Developed by a board certified plastic surgeon, the unique design of Contour Threads™ allows a traditional facelift or browlift procedure when you are ready. How much of a lifting effect can I expect? The exact placement of the threads will vary from patient to patient. Results will vary depending on the extent of sagging and the degree of lifting desired, as well as the technique of the physician and the number of threads used in each area treated. Many patients can achieve a 50% improvement after one treatment session. In general, the best candidates for a Contour ThreadLift™ include both women and men who want a more dramatic and long lasting effect than fillers and botulinum toxin or other treatments can provide, but do not want a full face lift or brow lift procedure. Some people who are not candidates for the procedure may benefit from a conventional facelift. 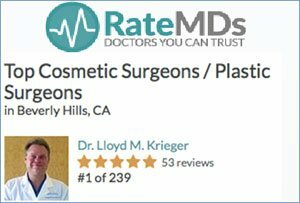 Your physician at Rodeo Drive Plastic Surgery will advise what is best for you. Content courtesy of Surgical Specialties Corporation.